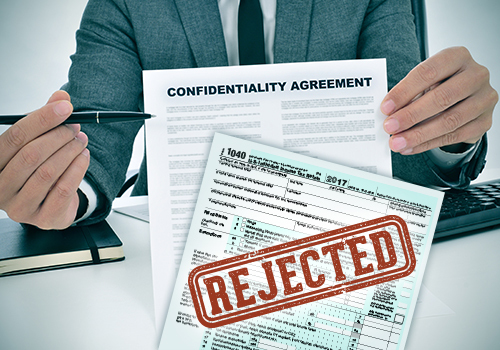 A provision in the new Tax Cuts and Jobs Act denies deductions for attorney’s fees and amounts paid in settlement of sexual harassment-related claims that are subject to a nondisclosure agreement. Employers may feel the effects of the recently passed Tax Cuts and Jobs Act in areas beyond just their tax forms. Previously, an employer could deduct ordinary and necessary business expenses, which typically included payments to claimants made pursuant to legal settlements, as well as attorneys’ fees the employer had incurred in connection with defending against legal claims. The new tax act revises Section 162(q), which now prohibits employers from deducting any settlement or payment related to sexual harassment or sexual abuse incurred after the law’s effective date of December 22, 2017, if such settlement or payment is subject to a nondisclosure agreement. Employers also cannot deduct any attorneys’ fees related to such a settlement or payment under the new tax act. This provision was included in the new tax law in response to the recent #MeToo movement and highly publicized allegations of sexual harassment against prominent individuals to discourage confidentiality agreements for these types of claims. The newly revised Section 162(q) raises several questions. First, it is unclear what payments or attorneys’ fees will be defined as “related to” a sexual harassment claim. Plaintiffs often bring several claims—-in addition to just a sexual harassment claim—-in the same lawsuit or complaint. Therefore, in cases involving multiple claims, it is not clear how employers should determine the amount of payments and attorney’s fees that are related to sexual harassment claims versus those related to non sexual harassment claims brought in the same suit. Relatedly, it is unclear if a general waiver of claims, including sexual harassment claims, signed as part of the settlement of non-sexual harassment claims would be considered settlement “relating to” a sexual harassment claim. Furthermore, the provision does not address the deductibility of other expenses incurred in connection with defending sexual harassment claims, such as court costs or expert costs. Additionally, no language in the provision appears to limit this prohibition on deducting settlement amounts and attorney’s fees to just employers. Thus, plaintiffs would also be prohibited from deducting settlement and attorneys’ fees (that they usually don’t even receive) in connection with sexual harassment claims involving a nondisclosure agreement—-an outcome which seemingly contradicts the intention of the provision. The IRS is currently working on providing information and guidance on the new tax act, so it is expected that the IRS will release further guidance regarding Section 162(q) that will hopefully answer at least some of the questions raised by Section 162(q). Because Section 162(q) is already in effect, employers should carefully consider whether to include a nondisclosure agreement as part of the settlement of a sexual harassment claim considering that employers are now prohibited from deducting the settlement amounts and attorney’s fees related to a sexual harassment claim if a nondisclosure agreement is signed. Employers should continue to watch for further guidance from the IRS regarding this provision.